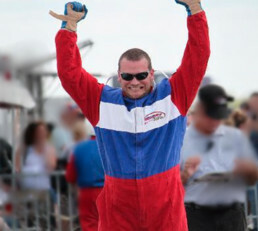 You will feel like a pro race car driver when we teach you the basics of driving a race car and suit you up in an official race suit and safety gear. For the main event we will strap you into a 600-horsepower NASCAR style stock car. Then you’re off for the drive of your life, traveling up to 160mph around NASCAR’s famous 2.5-mile Pocono Raceway. 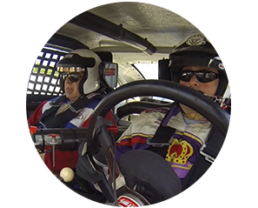 All Stock Car Driving Experiences include: A one hour training session made up of: Classroom instruction, race car orientation and discovery laps in a passenger van for race track orientation. Safety gear including race suit, HANS device and racing helmet are all provided. Experiences are conducted in a follow the leader format. The more laps you do the faster you will go. Family and friends are welcome to come and watch at no additional charge. 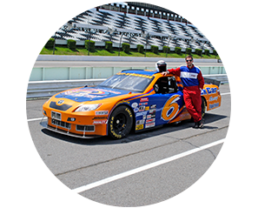 We offer a wide range of drive experiences, all on a real NASCAR track at Pocono Raceway in Pennsylvania. For the perfect gift, we offer convenient gift vouchers for all of our experiences. This allows your lucky racing enthusiast to select the race date that works best with their schedule. Stock Car Racing Experiences are conducted between May and October, with approximately 30 racing dates to choose from, on both weekdays and weekends. You will drive a 600 hp Race Car on the 2.5-mile Super Speedway! This experience is designed for the participant who just wants to say, “I did it!”. We’ll teach you what you need to know and put you behind the wheel. Available during our morning session only. 4-Lap Session. Approx. 2.5 hours start to finish. There’s a reason this is our most popular experience! It provides the perfect amount of laps to get you comfortable with the race car’s handling and speed. When you take the checkered flag after a 20-Mile Run you’ll be grinning from ear to ear. 8-Lap Session. Approx. 3 hours start to finish. Double the adrenaline, you will drive a 600 hp Race Car on the 2.5-mile Super Speedway. Get behind the wheel for two adrenaline filled 8-lap sessions, with personal coaching between sessions. Two 8-Lap Sessions. Approx. 3 Hours start to finish. More time behind the wheel means more speed! Between sessions our pit lane instructor will coach you on the racing line and driving technique as you reach higher speeds on each of your three 8-Lap sessions. Three 8-Lap Sessions. Approx. 3.5 hours start to finish. With maximum track time and personal instruction, this experience will accelerate your learning curve. Each lap you build confidence in the race car and your driving skills. Four 8-Lap Sessions. Approx. 4 hours start to finish. Not sure what experience to get them? Purchase a monetary gift voucher and let them decide. Our Monetary gift vouchers give the recipient the option to choose from any of our experiences and choose their own date. They do not expire and they can be combined with any of our other gift vouchers. 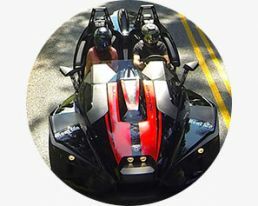 Add a 3-Lap Ride Along on to any Drive Experience. Ride with a pro and pick up some pointers before you drive. Highly recommended for first time drivers. Capture the memories! In-Car Video featuring Picture in Picture and Three 8”x10” Photographs ready for you to take home after your experience. Great gift addition! 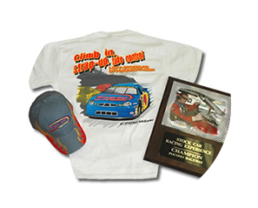 Receive a hat and t-shirt by mail when you order and after the experience you’ll receive an 8”x10” Photograph in a Commemorative wooden plaque. Our 4-Hour Rental is a great option for a morning or afternoon rental. There are some great sightseeing spots within a short distance of Pocono Raceway. Maximum height 6'4" / weight 300 lbs. Let the recipient choose the date. Comfortable clothes and closed-toe shoes required. A great place for family and friends to watch your experience. My wife bought this for me for Christmas and we went for Father's Day! What an incredible time! So fun! Great instructors, great track!! Will definitely be back! Thank you all for this opportunity. Wow, what a sense of accomplishment and so much fun. Our classroom instructor was informative and made us feel comfortable with our experience. I especially enjoyed my drive with, I believe his name was Chris, pleasant and a really good driver. I booked this for my fiance and let's just say....he had an AMAZING time. He would love to go back and do it again...and again...and again! Just totally a wonderful time, excellent class, providing the necessary tips for safe driving! He loved it, THANK YOU soooo much for making his first driving experience a great one!!!! This was the best experience of my fiances life!!! He did the 20 mile experience and the rest of the day all he said was "That was AWESOME!!!". He can't wait to do it again with me, his son and his best friend!!! He's hooked!!!! This was the best birthday gift my wife has given me. The total experience was beyond belief . Awesome and exhilarating to say the least. The entire operation from start to finish is professional and worth every dime. I recommend this highly for a bucket list once in a lifetime experience.